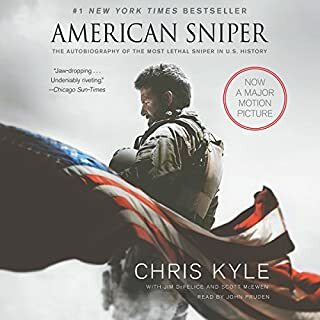 "A thrilling action ride of a book" (The New York Times Book Review) - from Jerry Bruckheimer in theaters everywhere January 19, 2018 - the New York Times best-selling, true-life account of a US Special Forces team deployed to dangerous, war-ridden Afghanistan in the weeks following 9/11. 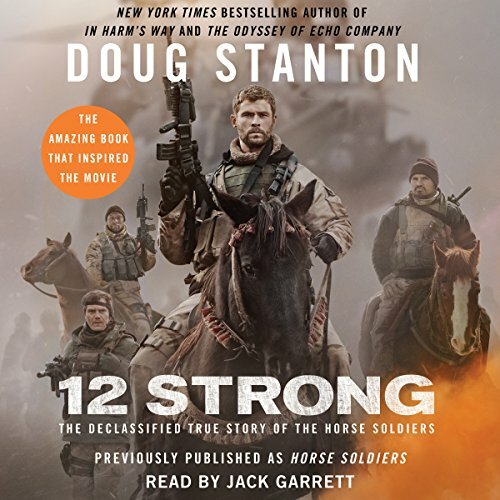 Previously published as Horse Soldiers, 12 Strong is the dramatic account of a small band of Special Forces soldiers who secretly entered Afghanistan following 9/11 and rode to war on horses against the Taliban. Outnumbered 40 to one, they pursued the enemy army across the mountainous Afghanistan terrain and, after a series of intense battles, captured the city of Mazar-i-Sharif. The bone-weary American soldiers were welcomed as liberators as they rode into the city. Then the action took a wholly unexpected turn. During a surrender of 600 Taliban troops, the Horse Soldiers were ambushed by the would-be POWs. Dangerously overpowered, they fought for their lives in the city's immense fortress, Qala-i-Janghi, or the House of War. 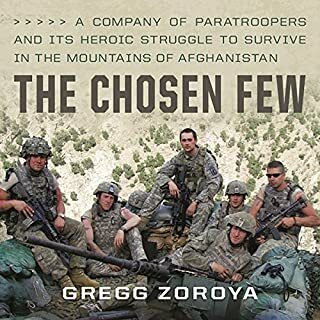 At risk were the military gains of the entire campaign: if the soldiers perished or were captured, the entire effort to outmaneuver the Taliban was likely doomed. 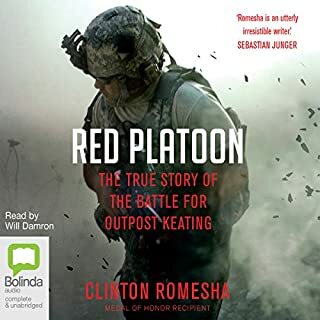 "A riveting story of the brave and resourceful American warriors who rode into Afghanistan after 9/11 and waged war against Al Qaeda" (Tom Brokaw), Doug Stanton's account touches the mythic. The soldiers on horses combined ancient strategies of cavalry warfare with 21st-century aerial bombardment technology to perform a seemingly impossible feat. Moreover, their careful effort to win the hearts of local townspeople proved a valuable lesson for America's ongoing efforts in Afghanistan. 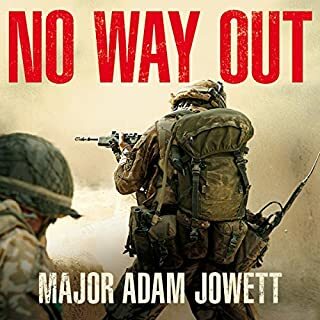 With "spellbinding...action packed prose...The book reads more like a novel than a military history...the Horse Soldier's secret mission remains the US military's finest moment in what has since arguably been a muddled war" (USA TODAY). What a great story with unimaginable hardships from a first hand perspective. Great to listen too. What did you love best about Horse Soldiers? Fantastic Story! Great read, check it out. What about Jack Garrett’s performance did you like? I hated Jack Garretts performance. He sounded like he belongs in a Michael Bay movie. His attempt at a gritty dramatic dialog reminded me of the most cliche 80's action drama. It was so stupid it actually detracted from the story; which is a bummer since the story is very well written. I hope Jack Garrett gets trampled by the the wildebeest with strep throat that he was trying to sound like. I really looked forward to this book. 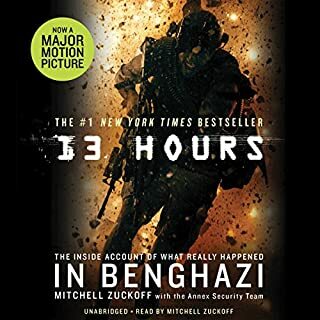 I had wanted to pick it up in hardback, but found it here on audible and had credit. I regret downloading it because Jack Garrett did a terrible job reading . He plays it up like he's narrating some overly dramatic film trailer, which ruins the book. The story speaks for itself; just read like a normal human being. If you could sum up Horse Soldiers in three words, what would they be? What was one of the most memorable moments of Horse Soldiers? SF and CIA agents being blown up by their own ordinance and surviving the blast that threw them more than 60 yards from their original position. Great emphasis in just the right spots of the story that make you feel as if you really know the people and their families. When the flintstones met the Jetsons. 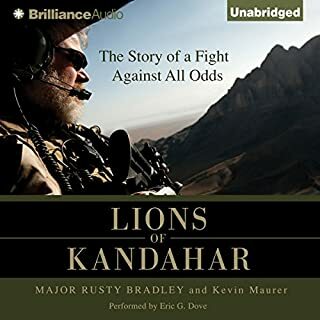 Really terrific and detailed account of the initial surge into Afghanistan. The topic is very politically charged and the book is not overbearing in one political view or another. The acts of heroism on the battlefield are incredible and a testament to what these organizations can do with just a little support. The content of the book was good. However, the narrator was poor. It's hard to tell when he's moving to the next chapter or changing topics. It's obvious he doesn't know much about the military or firearms because of the numerous mispronunciations. 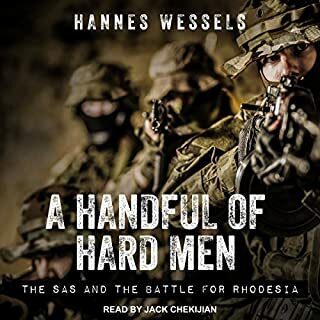 I really think I better narrator could have made this audiobook 10X better. Awesome story - dulled by the writing. 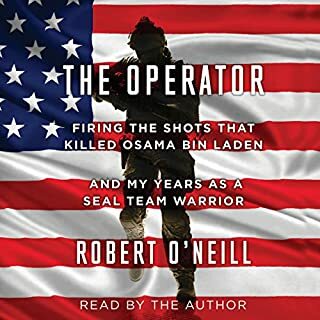 This is an awesome story of the courage, determination, and humanity of the U.S. Special Operations. If you take nothing more from this review, then know this is an amazing story. 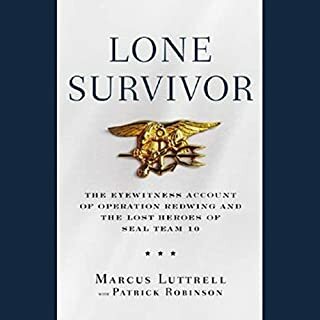 Unfortunately, the author's writing style of bouncing between the teams and back-and-forth to their pre-deployment life was difficult for me to follow. There were so many characters that I found myself asking, "Wait. Was that the same guy as...?" As a result, there were portions to which I had to listen and re-listen only to become confused again two or three chapters later. This made it difficult (for me) to form any emotional connection with the characters. Without that connection, the book was a disappointment. As for the narrator, with so many characters and with so few spoken words, there is very little voice acting to be performed. The book is written as a simple narration. In my oponion, the narrator neither added to nor took away from my enjoyment of the book. The narration is a reflection of the writing. The writing is dull, therefore the narration is dull. I can not even imagin riding those mountain trails and then into battle. I thought this book was very well written and well read. Today when we think of Cavalry it's usually 1st Air Cav sweeping in to save the day not men on actual horses. Warfare on a horse seems like it would be something those who put together this engagement would have to go back a 150 years or so and relearn. 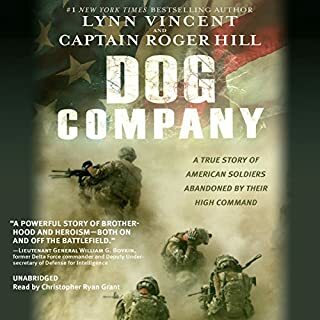 It was a good thing in this book to see the modern American Soldier and a Afgan man and his horses come together for a common purpose. I thank Mr. Stanton for doing this book otherwise these men and their story might have been lost to us. I was not familiar with this narrator but I thought he did a great read and I would enjoy hearing more from him. I overall really liked the book. 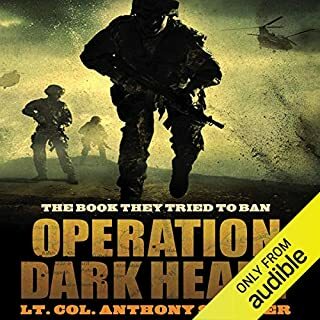 It's an interesting tale of the first months of Americas war in Afghanistan, with a very interesting point with regards to why this part of the conflict was so successful. That being said, I often struggled with names and places until the last few chapters or so. We're being introduced to many soldiers, who visit multiple locations, in different combinations. As the action takes place simultaneously, the author tries to juggle all of these without too much luck. This impacted my overall understanding of events and I found myself loosing focus. It didn't help that a shift in place or perspective often takes place in the middle of a chapter without any explicit notice - or that the author sometimes will use a person's first name and at other times his last. My heart goes out every time to the boys that have fought to keep our country free....at any cost and thank you to these brave horseman who willing answered the call. If you want to know anything about who has helped to make this country great.....don't hesitate to read this book. 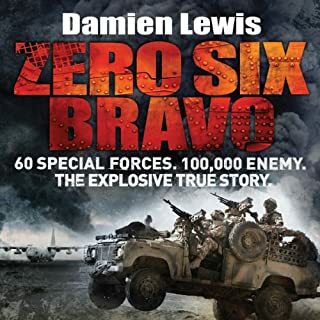 Been a fun read after watching 12 STRONG, a lot more info on military history. I don't know if it's a lack of story, characters or the narrator but it didn't hold my attention. apparently the movie had a lack of depth as well, according to customer reviews. could have been woven together so much richer and deeper. I had hoped for a interesting re telling of the events after 9.11. but fund my self not very engaged in the story. The story line jumps between characters and within the timeline which can be confusing. I found myself not focusing on the story frequently. I would say the the story would have benefitted from beeing condensed and more focused. maybe cutting the first hours and alot of the what is happening back home parts. a order timeline would have helped too. 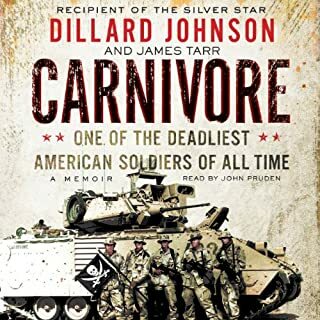 Also if you dont want to hear a very very American tale of heroism you should give this a pass. I am not saying this is a bad book, I do not regret buying it. but I would definitely call it flawed. It was really good! I definitely recommend giving it a try if you have seen the film, there is a lot that the film leaves out. It is a good story, with lots of interesting detail, but sadly is told in a way that makes it difficult to get involved with. It jumps around and seems bent on preventing you from ever really understanding where you are, who it is we are hearing from or where we are going. Very little on the actual battles, events and impact of their actions in comparison to what seemed like hours saying the same thing, over and over about a helicopter flight. 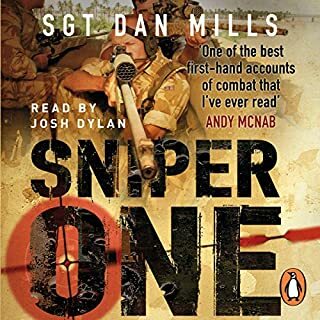 The narration didn't help, it wasn't awful but made getting through the book difficult and often found I had stopped listening due to the tedium. 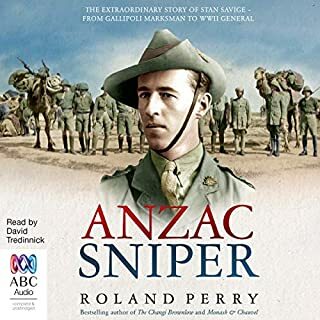 I enjoyed this book but a whole 3rd was taken up at the beginning with soldiers domestic arrangements. Love stories about their wives etc. When it finally got going it was riveting. 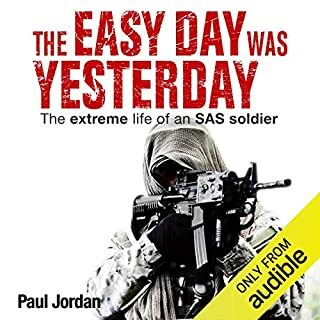 As an ex Soldier I was able to relate to a lot of the story. Worth a read but buy the abridged if you can get it. Typical American over the top story. patriotism at it best but not for me, zero credit given to the British who were there too. It’s such a shame this book is completely let down its narration!. At first I wasn’t put off by it but as the book progressed it got harder and harder to keep focussed on the story. 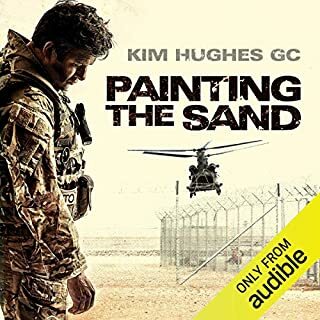 The narrators voice seems to keep the same boring tone regardless of what’s happening in the book rising and falling, it just switches you off and destroys what I’m sure would have otherwise been an engaging listen. Despite persevering with im now returning. 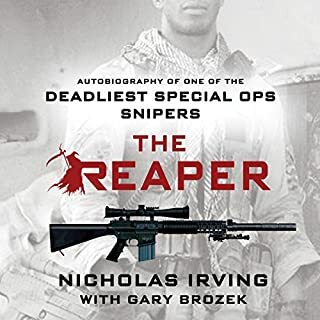 if you want to know what the active soldiers wife had for breakfast the day before he travelled abroad, then this is the book for you. if you want a clear insightful story with details and facts then stay clear. i got so tired of waiting for the story to start i returned it before getting there. the narrator sounds like Zap Brannigan from Futurama and added nothing to the story.